When it comes to running a retail business, choosing a great payment solution should be a top priority. 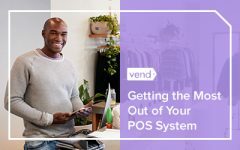 While a standard POS and payment processor will allow you to ring up sales, the right solution can boost your business efficiency, streamline your accounting and reconciliations, and even lower your costs. Ultimately, these benefits add up to increased store productivity, more satisfied customers, and higher profits. So, how do you unlock all those advantages? Two words: integrated payments. In this post, we’ll shed light on the importance of payment integrations in retail, and discuss how they can take your business to new heights. Integrated payments are all about aligning the systems and platforms that facilitate the payments side of a business. For retailers, this typically means connecting your point of sale system (POS) with your payment processor, so data flows smoothly from one platform to the other. This setup eliminates the need to manually key in customer and credit card information at the checkout counter. Because your POS is integrated with your payment processor, all the necessary information is ready when you initiate the process using your EFTPOS terminals. Why should retailers opt for integrated payments? At first glance, it may seem like the advantages of payment integrations are limited to the checkout counter. But the fact is, integrated payments can have positive effects in multiple areas of your business, including customer service, business intelligence, and profitability. 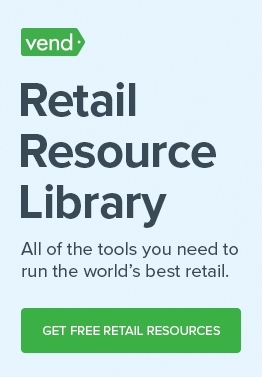 The last thing any retailer wants is to keep customers waiting. On average, retail shoppers are only willing to wait 5 to 10 minutes in line before abandoning their purchase, so you could be missing out on sales if your checkout lines take too long. Enter integrated payments. 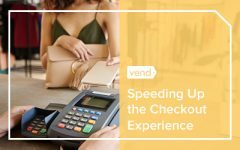 When your POS and payment processor are tightly connected, you can reduce checkout time and keep the lines moving as quickly as possible. One example of a retailer that benefits from their payment integration is Zanerobe, a progressive streetwear brand in Sydney, Australia. Zanerobe runs a busy location so it was a huge plus to have a reliable point of sale system like Vend integrated with Tyro’s EFTPOS terminals. Because of Zanerobe’s integrated solution, employees are able to serve shoppers efficiently during the busiest of times, thus keeping both productivity and customer satisfaction levels high. 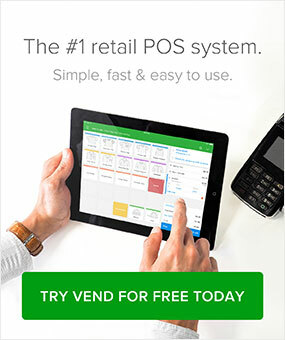 With Vend and Tyro, you can accept more payment types and ring up sales on any device. Tyro offers EFTPOS terminals with eftpos, credit card and Tap & Go capabilities that seamlessly integrate with Vend on any device, including iPad, Mac and PC. The cause of the mishap? Someone put the decimal point in the wrong place. While mistakes of this magnitude are rare, the story above highlights the importance of minimizing human error. A simple mistake — like misreading a number — can lead to unnecessary costs and headaches, and that’s the last thing you want in your business. Fortunately, if your POS is connected to your payments processor, won’t have to worry too much about human errors. Aside from reducing manual entry at checkout, integrated payments eliminate the need for manual end-of-day reconciliations, thus reducing the chances of mistakes. Having your payments and retail technologies working together makes it easier for you to gain data and insights about your business. You can view all your sales and payment data in one place, versus having to check reports on different platforms. POS payment reports help you track cash flow, credit card payments, and inefficiencies that affect your bottom line. Using the information from payment reports, you can help prevent employee theft and errors, determine how your customers prefer to pay, and figure out how many sales are discounted or sold at full price. Simply put, the right POS and payments reports help you make more informed decisions forecasts for your business. Streamlining your checkout and reconciliation process will lead to massive savings, both in time and money. 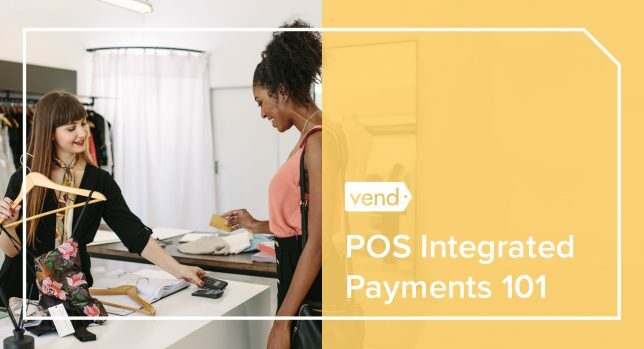 In addition, payment processors offer special rates to merchants using their preferred partners, so you can potentially score better rates by opting for a provider that integrates with your POS. The bottom line? Integrated payments can have a tremendous impact on… well, your bottom line. That’s why if your POS and payment processor aren’t tightly connected, consider upgrading your systems sooner rather than later. Talk to your payments processor or POS provider and ask about integrated payments. Taking this first step will put you on track for higher productivity, lower costs, and a more successful business overall.